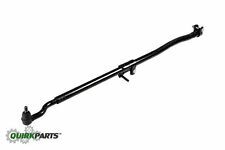 Boot Pair, Tie Rod, 1946-2006 Jeep by Rugged Ridge. Need More Jeep Parts ?. Bullet5 Limited 5 Year Warranty. Bullet4 OE Style. MOPAR GM SUBARU AND MORE! Trending at $74.50eBay determines this price through a machine learned model of the product's sale prices within the last 90 days. The Steinjager Crossover Steeing Kit is a drastic upgrade from the factory steering. Crossover Steering - YouTube. 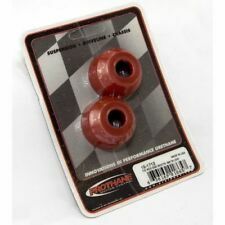 This kit will work with or without the factory sway bar. Quantity sold : Assembly. Notes : LHD; Right Side; 50.5" Long; Socket type; Right Knuckle to Adjuster. Under NO circumstances will our liability exceed the amount of the original sale. General Warranty Limitations (Applies to all Product Warranties). 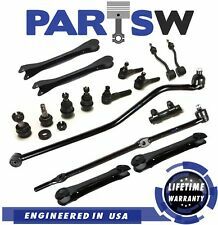 8 Piece Suspension Steering Set For Jeep TJ & Wrangler 1997-2006 Kit 5 Year Warranty. 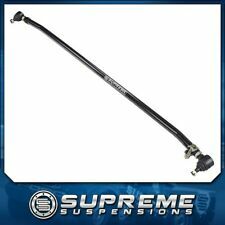 1 X TVA-Es3095R Front Outer Tie Rod End At Passenger Side Connecting Tie Rod - 4.0L Right Inner. 2 X TVA-K3134T Front Upper Ball Joints. (2) Steering Knuckles. Notes : Kit components - 2 Steering Knuckles; Right (Passenger Side). CROWN STEERING KNUCKLE SET. "Crown Steering Knuckle --. Quantity sold : Set of 2. Therefore all implied warranties that may apply to your part are limited to the duration of this written warranty. Replaces oe number : 52060049, ES3624. Notes : Tie Rod to Pitman Arm. Condition : New. Therefore all implied warranties that may apply to your part are limited to the duration of this written warranty. Replaces oe number : J282107, 1038245. Notes Includes 2 Ends And Tube, Pitman Arm To Tie Rod. Notes : Incl. 2 Ends & Tube; Pitman Arm to Tie Rod. Quantity sold : Assembly. Condition : New. Therefore all implied warranties that may apply to your part are limited to the duration of this written warranty. 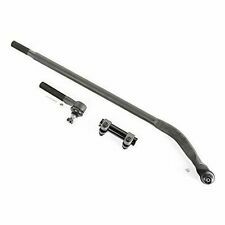 Rough Country Heavy Duty Tie Rod Kit - 97-06 Jeep Wrangler TJ 4WD.